The M Streets is a neighborhood lying East along highway 75 north of Downtown Dallas. 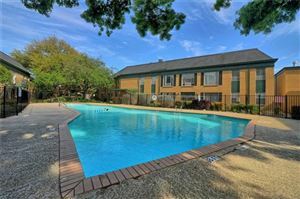 It is one of Dallas' premiere neighborhoods with great architectural style and trees trees trees. The Greenville Avenue entertainment district runs directly through the heart of the area and offers some terrific dining with the likes of The Grape and Café Izmir Mediterranean as well as the best burger in Dallas(in my opinion anyway...) Snuffer's. The Granada Theater on Greenville has been entertaining Dallas with live music for over 20 years with bands across the spectrum, from PFunk to Black Keys.